Over the weekend, celebrities gathered to both present and accept the famous golden Oscars statues at the Academy Awards. 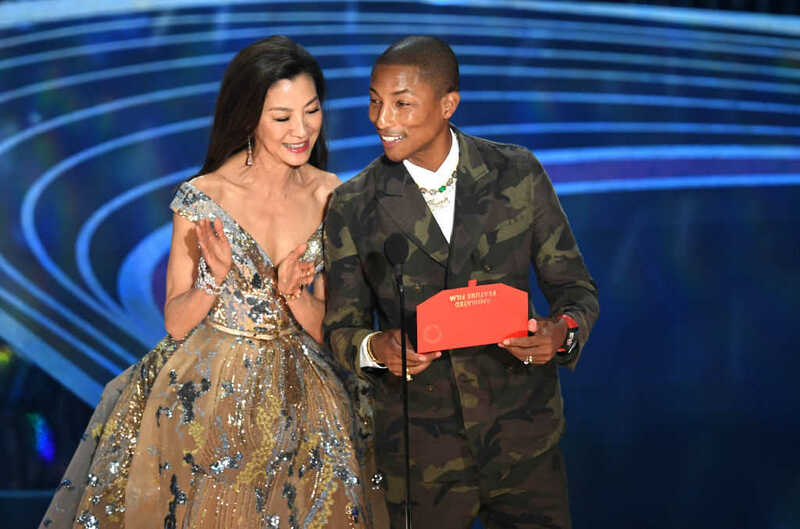 Singer Pharrell Williams, who presented the Best Animated Feature with actress Michelle Yeoh, departed from the President Trump jabs and border wall jokes by quoting a verse from the Bible. Oscar Winner Regina King’s Aramaic Tattoo Is Getting Attention — What Does It Mean? “The Bible says, ‘When I was a child I spoke as a child. I understood as a child. I thought as a child. And when I became a man, I put away childish things,’” Williams said, quoting 1 Corinthians 3:11. Yeoh then stated, “When we move to adulthood, we look back fondly” on the years that we experienced as children and the “creativity exhibited” within them. There’s “no need to put things away but instead embrace and enjoy a shared experience,” the “Happy” singer added. Pharrell received mixed reactions from those on Twitter, with some commending him for sharing Scripture, and others expressing anger over the biblical reference. Pharrell Williams, I think the Bible also said "thou shalt not wear shorts to the Oscars". Meanwhile, he received positive reactions as well, with one user giving “glory to God” over his speech. Another user, Katie Lansford tweeted a picture of the verse Pharrell quoted, saying she loved hearing it being read at the Oscars.